Dickinson is a city in Stark County, North Dakota, United States. 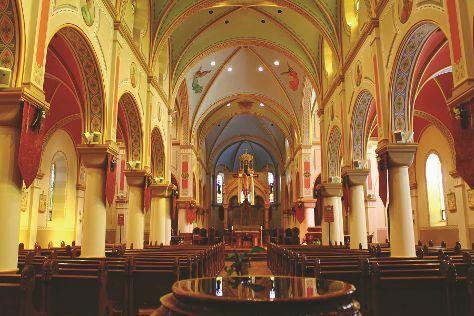 Explore hidden gems such as Assumption Abbey and Billings County Court House Museum. Take a break from the city and head to Bully Pulpit Golf Course and Enchanted Highway. Explore the numerous day-trip ideas around Dickinson: Medora (Theodore Roosevelt National Park, North Dakota Cowboy Hall of Fame, & more). There's more to do: see the interesting displays at Dickinson Museum Center and tour the pleasant surroundings at Patterson Lake Recreational Area. To find photos, reviews, traveler tips, and other tourist information, go to the Dickinson trip itinerary planner. New Delhi, India to Dickinson is an approximately 31-hour flight. You'll gain 12 hours traveling from New Delhi to Dickinson due to the time zone difference. In February, Dickinson is colder than New Delhi - with highs of -1°C and lows of -15°C. Wrap up your sightseeing on the 8th (Mon) to allow time to travel back home.